Devout Gobblers know that our third season kicks off in eight short days, on January 21, but first I want to let you all know a little bit about what’s been going on during our winter vacation. First, in case you missed it, Paul and I listed our ten favorite movies and TV shows of 2011. We also promised to list our ten favorite comics and albums, but…well, one day we’ll learn how not to over-commit ourselves. Until then, consider those two more unfulfilled blog posts. He put the video up right after the season finale first aired, but because we’ve been super lazy during our winter break, we didn’t check our e-mail until this afternoon. He is awesome, and so is the video; you should watch it. Thirdly, I finally accomplished something I said I’d do for months: I registered a domain name for the blog! So instead of the clunky gobbledygeekbtr.wordpress.com–which you can still use, if ya want–you can now enter and/or bookmark gobbledygeekpodcast.com, and it’ll take you to the same nerd paradise. Lastly, and perhaps most importantly, we have an exciting new addition to the Gobbledyfamily. 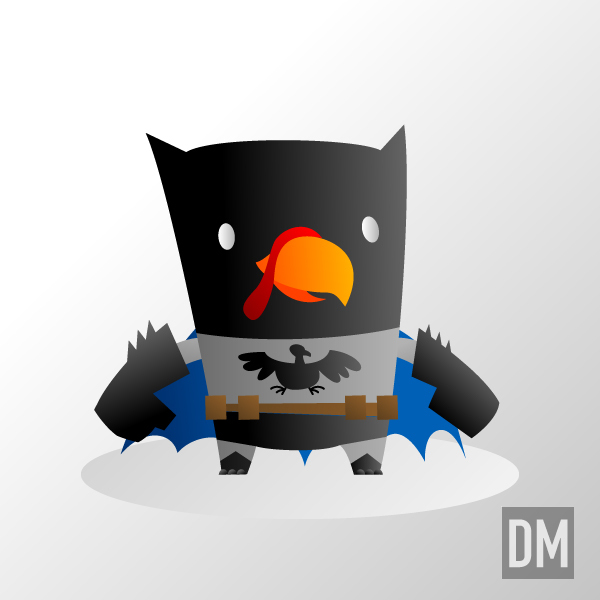 Last year, to kick off season 2, we introduced Bill Ellis’ fantastic take on our lovable mascot Bat-Turkey. So as we gear up for season 3, we’d like to take a moment to introduce you to our brand new Bat-Turkey, courtesy of Daniel Mead! Ain’t he a cutie? If you’ve a keen eye, you’ll notice that he’s been our Twitter avatar for a few weeks now. I’ll be updating the blog with a banner showcasing our new Bat-Turkey, and I should probably throw up a page to commemorate all of our Bat-Turkeys, past and present. Thanks a bunch, Dan! We hope your holidays were swell–ours were!–and we’ll be seeing you back here on January 21 for our season 3 premiere. What will it be about? I’ll just say that we’ll be discussing two movies, both released in the past month, which center around dynamic, damaged women. Guesses? 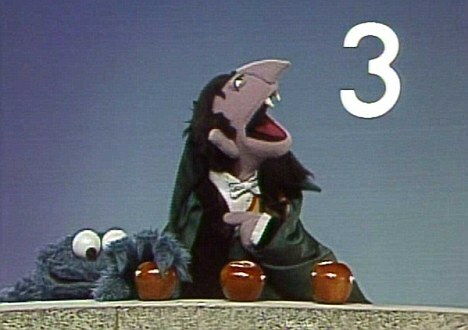 This entry was posted in Shameless Self-Promotion and tagged bat-turkey, cookie monster, daniel mead, gobbledygeek, papa razzi and the photogs, podcast, sesame street, the count, twitter. Bookmark the permalink.